Member of Executive Committee and Senior Vice President of Legend Holdings Co., Ltd., and Chairman of Legend Star Investment Management Co., Ltd. Mr. Tang joined Lenovo Group in 1990 and served successively as General Manager of the Legal Department, General Manager of the Human Resources Department, Deputy Director of the Corporate Planning Office, Vice-President of Legend Holdings and Director of the Corporate Planning Office, Senior Vice-President and General Manager of the Incubator Investment Department and Human Resources Department of Legend Holdings, Executive Chairman of Legend Management Institute, and Chairman of the Chinese Academy of Sciences Holdings Co., Ltd. (CASH) and other enterprises. Mr. Tang received an EMBA Degree of Cheung Kong Graduate School of Business(CKGSB), and a Bachelor's Degree of Laws of Minzu University of China. Mr. Wang joined Legend Star in 2010. 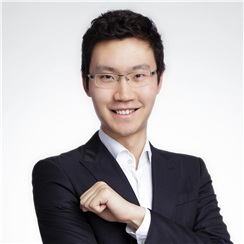 As the General Manager and Managing Partner, he is mainly in charge of early investment in TMT sector, investment cases include iDreamSky (NASDAQ: DSKY),Knowbox,OneSpace,Tsintel Technology,Pony.ai,Yunding,Wenjuan.com and Vhall, etc., covering such fields as mobile internet,AI,SaaS,and Internet plus traditional industries. iDreamSky got listed on the NASDAQ in August, 2014 after only three years of angel investment, generating a return of over 100 fold. Mr. Wang graduated from Tsinghua SEM with an MBA degree. Mr. Lu joined Legend Star at the end of 2009, and helped to establish its angel investment business. He is responsible for investments in health care, particularly in fields of biological and genetic technology and innovative medical service, having concluded several investment projects including Tianjin MNCHIP, Suzhou PegBio, and Burning Rock. Mr. Leng joined Legend Star in 2013, has been committed to angel investment in health care, especially biological medicine, molecular diagnosis and gene sequencing, tumor immunology and cell therapy, medical-grade sensors, and data collection terminals. Mr. Leng has made over 20 investment cases in these sectors, including Burning Rock, PegBio, Ribobio, Percans Oncology, MEDATC, iGeneTech, GeneDock, Coyote Bioscience. Mr. Leng has worked in the medical care industry for 13 years, and another 6 years in pharmaceutical industrial M&As. He received a Master’s Degree of the School Economics and Management, Tsinghua University, and a Bachelor’s Degree of the School of Life Sciences, Xiamen University. 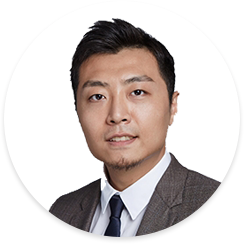 Mr. Gao joined Legend Star in 2016, with 10 years of experience in technology investment, focusing on AI, robots, intelligent manufacturing, IOT, cutting-edge technologies and other fields. He once worked in a Boutique Investment Bank on the Wall Street, JD Capital, and the strategic investment department of listed companies, covering the early to late stages. Since 2016, his investment cases include: Light theto, Pony.AI, Coherent AI, Tsintel technology, Hairou Intelligence, Moyun, CiDi, OpenBayes and nearly 20 early projects. He was selected as "TOP10 most discoverable investors in China's automobile travel field" by 36Kr. He graduated from Beijing University of Technology with a bachelor's degree, and received a master's degree in materials engineering from the University of Florida and a master's degree in operations research from Columbia University. 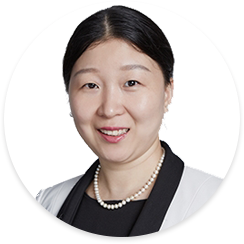 Ms.Gao joined Legend Star in 2014, she is mainly responsible for investments in the fields of new retail, new consumption, and cultural entertainment. Her achievements include Block 12 Studio, On the Road Store, story, chuman, and more. Before entering Legend Star, she was the marketing director of Zero2IPO Group, responsible for marketing, public relations, and oversea cooperations. She is skilled at marketing, strategy, public relation, and resource integration. Beijing Forestry University Bachelor of Laws. 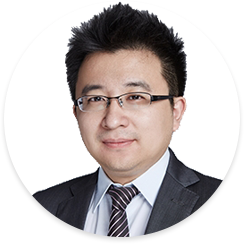 Mr. Liu joined Legend Star in 2015, focuses on technology finance, enterprise service, and sports and entertainment investment. 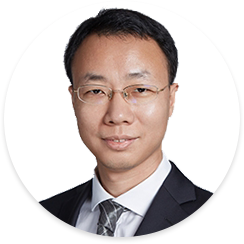 Mr. Liu once worked in investment banking for Credit Suisse Founder Securities, and has participated in a number of milestone projects in the financial industry. Mr. Liu counts ICBC, BoCom, China Life Insurance, and New China Life Insurance as some of his clients. 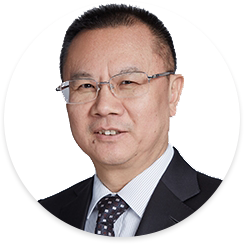 With an accumulated transaction amount of over 200 billion yuan, Mr. Liu is profoundly experienced in domestic and foreign project implementation and investment banking businesses. He received an Honours Bachelor of Administration of the University of Manchester. 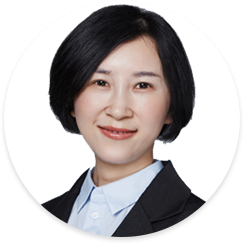 Ms. Fu joined Legend Star in 2017, mainly focuses on online education, Internet finance, and sports investment. 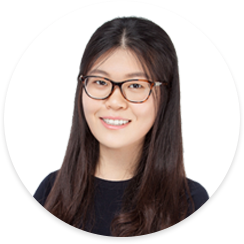 Ms. Fu worked in the past as a data analyst at Zero2IPO, investment manager at Huaiyuan Capital, Vice-President of Roots Capital, and Vice-President of WJ Capital. During her tenure at Roots Capital, Ms. Fu directed the investments in Orange Yoga, Yami, and Jiangxiaozao chain restaurant, to name but a few. She received a Bachelor's Degree in Statistics of Zhejiang Gongshang University. Mr. Wang joined Legend Star in 2017. He focuses on investment in such frontier technologies as artificial intelligence, CV, NLP, autopilot, intelligent machines, AI+, and Pan-energy. Mr. Wang once participated in the operating activities of Jingdong (as a management trainee) and Galaxy Internet, and engaged in the strategic investment in the fields of intelligent hardware and Pan-artificial intelligence. He received a Bachelor’s Degree of Energy Power System and Automation of Wuhan University. 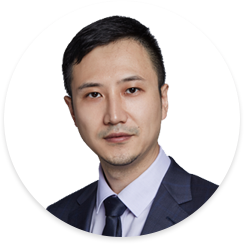 Mr. Ai joined Legend Star in 2018 as an investment manager. He focuses on investment opportunities from new consumption, lifestyle, entertainment, and media sectors. 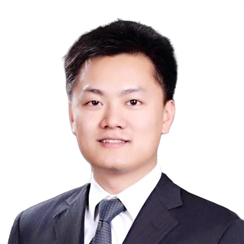 Before joining Legend Star, He was an associate at Oceanwide Capital and analyst at CDB Capital (China Development Bank Capital), working on cross-border acquisitions and financial & strategic investment at mainland China. He received his MSc degree in Information Science from University of Oxford, and BA in Journalism & Communications from Tsinghua University. 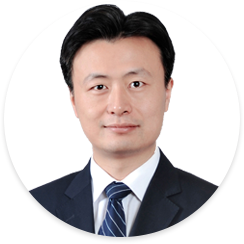 Mr. Wang joined Legend Star in 2016, focusing on health care investments. Having invested in huimin.com, We Doctor Group, medical-lighter, Scanadu, dkyao.com, and other projects, Mr. Wang has in-depth exploration and trials in the health care sector. He once served for Fosun Kinzon Capital, Johnson & Johnson Medical, and the Product Business Units of 3M Medical, dealing with medical investment, strategic marketing, clinical examination, and approval over the course of several years. He received an MBA degree from the School of Economics and Management, Tsinghua University, and holds a Bachelor's Degree in Pharmacy of Tianjin University. 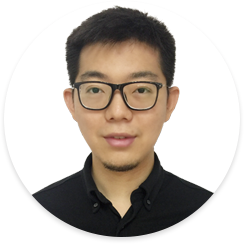 Mr. Lian joined Legend Star in 2017, concentrates on investment in pharmacy, medical instruments, gene and cell therapy technologies, medical IT, and other innovative biological medical projects. Mr. Lian has rich experience in the health care sector and in-depth insight into the businesses. 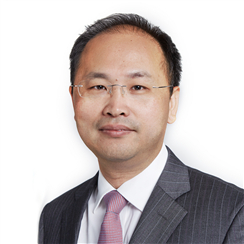 He once worked in hospitals, the research institute of Minsheng Securities, the Strategy and Business Development Department of Pfizer, CR Pharmaceutical, and SDIC, and engaged in clinical treatment, medical industry research, and market and strategy research, and equity investment among other ventures. He received the Master of Surgery of Nanjing Medical University, and Doctor of Health Economics of West China Center of Medical Sciences, Sichuan University. Mr. Wang focuses on early stage investment in healthcare and medical industry, especially the emerging technologies and services, having invested Genrui Biotech Inc. in Shenzhen, Micro-Helix in Beijing, Viroad in Hebei, and etc. He used to operating Watson Capital, a medical specialized fund. He once served for ASB ventures China, being responsible for investment in healthcare and medical industry. He once served for Beijing Genome Institute (BGI), being responsible for R&D in microbiology, tech-service of gene-sequencing, and internet-based service of gene-test. He received a Master degree in Microbiology from Shandong University. 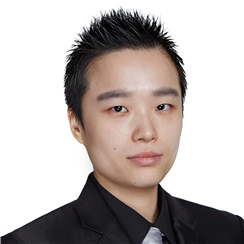 Ms. Deng joined Legend Star in 2013, focuses on investment in new health care services such as online health care, smart health care, primary health care, innovative auxiliary diagnosis, and data terminals. Ms. Deng was once responsible for the U-Can Secondary School Education Business Unit of New Oriental Education & Technology Group, and later for the construction and operation of the Fuwai site of Beijing Xueda Education Group. She received a Bachelor's Degree of Mathematics from the College of Education, Sichuan Normal University.